A story about an international high-stakes backgammon hustler should at least be exciting. Instead, Jonathan Lethem’s A Gambler’s Anatomy is a dud. Its hero, Alexander Bruno, is an indiscernible husk of machismo adrift in a thin plot of medical anomaly: flirting his way to and from underground gambling dens, Bruno is hospitalized in Germany with a meningioma buried deep inside his face. The blot floating in his vision is excised by a smug doctor in Berkeley, and the rest of the novel is spent acclimating back to real life (that is, as best one can behind a medical mask). For you backgammon mavens, A Gambler’s Anatomy is like starting a game with double fives: a roll that could have been special but rendered practically useless given the current state of the board. The only moves available are either already covered or relatively inconsequential. Throughout A Gambler’s Anatomy, Lethem toes a line between Pynchon-esque and simply random. 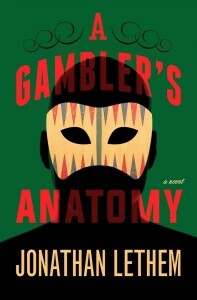 His characters all have names like they’re being sounded-out under general anesthesia after face surgery: characters like Tira Harpaz, Madchen Abplanalp, and Garris Plybon all try to give A Gambler’s Anatomy an air of The Crying of Lot 49, but Lethem lands far from his mark and drifts even further with off-putting and strange dialogue. When characters apologize for “just free-associating” after long stretches of incomprehensible chatter and self-deprecatingly refer to their own “moronic banter”, it’s clear something’s wrong, especially in a book that’s so driven by its spoken segments. Lethem describes a character as potentially being a “magpie for jargon”; this idea is exactly Lethem’s downfall in the novel. When not dazzling with surprisingly smart backgammon terminology, or well-researched medical vocab in the surgery scenes, Lethem bloats the novel’s conversation with an unnecessary glut of cultural references. Everyone speaks the same way, and it’s with a vaguely aggressive, concerningly sexual frankness backed up with a sourcebook of nerdy references that Lethem assumes his readers will recognize. It’s a safe bet that fans of The Fortress of Solitude (Lethem’s celebrated 2001 novel) will jive with talk of Ghost Rider, Lebowski, Scotty in the engine room, and even Flashman, but it’s a misstep to introduce all his characters beyond protagonist Bruno as having that same Lethem-esque cultural palette. It makes his supporting cast blur together. There is a point in every backgammon game when the players pass each other and have to race, in dice rolls, to take their pieces off the board. It’s this moment that most backgammon naysayers zero in on when they discount the merits of the game: points are often won entirely based on the luck of a roll. Of course, a well-placed board will have an easier time with a wider variety of rolls, but there’s always the possibility that one’s opponent might land a string of doubles and catapult themselves to victory. Put another way, there’s a moment in backgammon when the action ends, when the players situate any substantive developments and exciting turns behind them. The “game” is essentially over, and you simply stick around to see what happens. Lethem unintentionally slides into this backgammon-esque shortcoming about halfway through A Gambler’s Anatomy, when Bruno goes into his surgery. Here the novel’s protagonist and drama is essentially finished or reset: the operation is a success and he leaves feeling like a different person. What’s left to do? Not much. Lethem runs through a few scenes of real-world acclimation in Berkeley burger shops and executes some bizarrely orchestrated gags. He tries to build a peculiar idea about Bruno being a telepath that ultimately falls flat. Bruno chooses his post-op medical mask, becomes somewhat of a local celebrity by standing around in public, and hangs out a few times with a gang of local ne’er-do-wells. It’s a hollow, empty race to the finish. 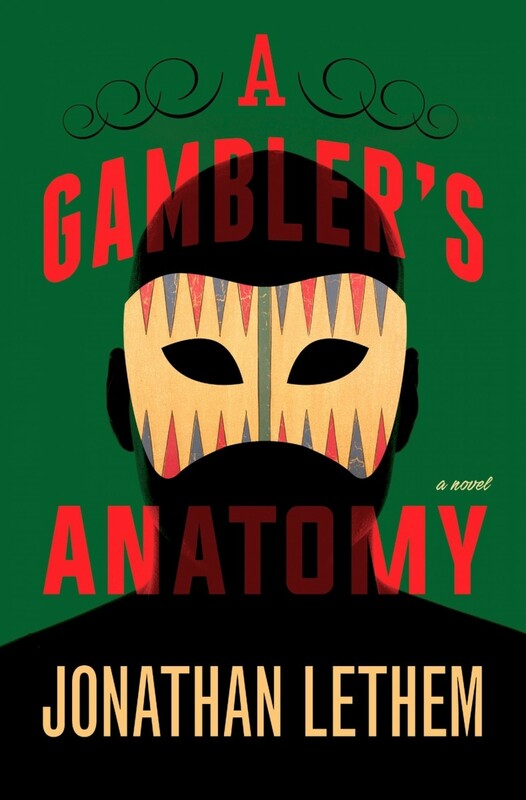 Lethem’s better than this: there’s hardly a story in A Gambler’s Anatomy after Bruno’s surgery, and it’s puzzling to watch the author stand by as his novel’s pieces run their course.